These days I call myself a runner...: So how did the Toad go?? On the Wednesday after finishing the Toad challenge, we went on holiday to Croatia - had a wonderful time (managed to get a few fantastic runs in too, so glad I took my running gear!) and we got back late last night. Unfortunately, I didn't manage to blog about the Toad before we went...every time I tried to write something it just didn't seem enough, but I did manage to put together a few words for the Brathay Trust's website where I have another blog, specific to next year's 10in10 challenge. I've decided to copy and paste that blog post below, as now two weeks have passed and I'm not sure I can really remember enough to write a decent detailed account of what happened at the Toad. 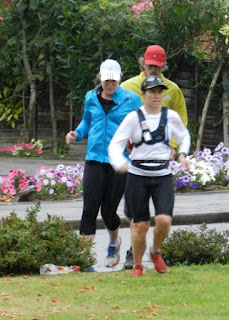 I know that I learnt an enormous amount about myself and what I can achieve, that the countryside along the Thames is varied and gorgeous, that I found out on the last day that running with people can be much better than running on my own (thank-you to Ellen, Lesley and John for running with me for 20 miles, my favourite part of the weekend I think, wish I'd stuck with you to the end), and that I felt recovered from the 90-odd miles after just a couple of days. Really though I just have an overwhelming memory of it being awesome!!! 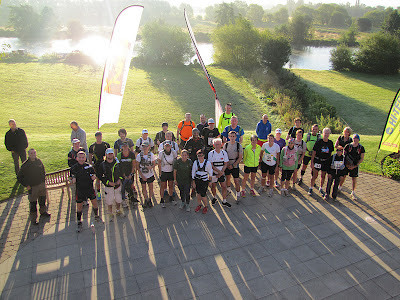 "This weekend, I took part in my first multi-day event, The Toad Challenge, which involved me running just over 90 miles in three days, along the Thames Path from Oxford to Walton-on-Thames. 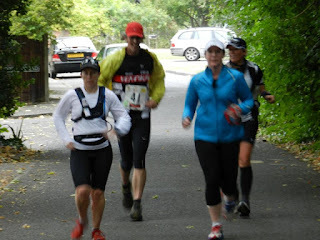 I was incredibly nervous before it started...if it went wrong, or I really struggled, I knew it wouldn't bode well for the 10in10, but I needn't have worried - it was a fantastic event and as strange as it might sound, I really enjoyed myself, and ended up finishing the run in 16hrs 10minutes. The Thames Path is mainly trail, and as I do 90% of my training on tarmac this was definitely a bit of a challenge...as was having to negotiate numerous gates and herds of cows stood in my path, sinking into boggy marshland after spending the day running through a storm, and getting lost a couple of times! Regardless though, I loved it. The scenery was generally beautiful, the checkpoints well stocked with a fantastic selection of snacks (food is always very important to me!) 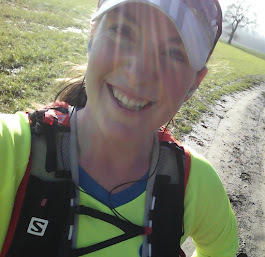 and completing the 90 miles has made me feel so much more positive about how my training is going, especially as I seem to have recovered quickly too. Anyway, it was a great event, and before the 10in10 I think I'll definitely sign up for a few more multi-day races. Not only is it good training, it's so much fun! :D"